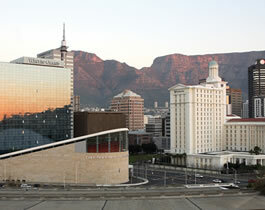 The Mother City, as she is fondly known, offers visitors a wonderfully diverse range of activities and attractions. With a breathtaking combination of sea and mountains, few cities can challenge Cape Town for sheer natural beauty, and you could spend months exploring this beautiful region. You can however get a good feel for Cape Town in as little as two or three busy days. But be warned, once you have visited this vibrant city you’ll be back again and again. 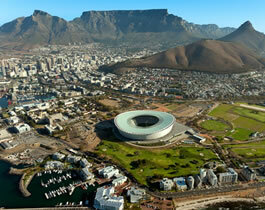 Cape Town’s top 6 tourist attractions are all undoubtedly worth a visit: the breath-taking Table Mountain – easily accessed on the cable car; the emotional and inspiring trip out to Robben Island; the Waterfront with its vibrant retail and entertainment areas; and a lazy day sampling world-class food and wine in the beautiful Winelands. The drive along the Peninsula to Cape Point has few international rivals and boasts some of the Cape’s best seaside restaurants. And last but not least is Kirstenbosch Botanical Gardens on the slopes of Table Mountain. Kirstenbosch is a wonderful showcase of the unique diversity of South Africa’s flora, especially the world-renowned fynbos of the Cape Floral Kingdom.